By Declaration and order creation’s asset value centers, being the original, sole, and absolute superior structure, network and system by creation for the lawful and transparent existence, co-existence, knowledge, co-knowledge, custody, co-custody, operation, co-operation, creation, co-creation, use, and co-use, of any and all creation’s value, inclusive of any and all tracking, transfer, appointment, assignment. Over the last few years, there has been a major change in the mindset of our consumers. Retail Credit, once considered unreachable, is today a means of fulfilling the growing aspirations of Bangladeshi citizens, especially the growing population of the 25-44 age groups. The declining trends in corporate credit forced banks to increase their presence in the retail finance market. The rise in income levels together with fall in interest rates and growing competition has increased the affordability of loans for borrowers. Today, Retail Banking has become the major revenue line for most of the top banks in the country. At The City Bank limited, we want to offer the best-in-class services, innovative lending products and financial solutions for customers to meet their personal financial requirement. To meet personal needs of any credit worthy individuals, we have launched Amex Consumer Credit Card on 7 November 2009. Recently Amex Consumer Credit Card has reached the landmark of 50,000 with all its dynamic features, proper marketing strategy, smooth distribution channels (Direct Sales Team/Branches), structured collection team and above all with the best credit practices and procedures. For ensuring perfect retail lending model in card assessment, a concrete credit procedure backed up by structured collection team is inevitable. Proposed credit underwriting includes credit parameters, income assessment and other guidelines that will enable City Bank to expedite the business growth by managing asset quality at an optimum level. To comply with the prudential regulation of Consumer Financing of Bangladesh Bank, Product Programmed Guideline of Amex Consumer Card is being reviewed time to time to ensure a smooth Credit Process. Bangladesh has experienced an abrupt political stabilization in 2009, even as subversive activities by Islamist extremist groups have been substantially curbed by the Government. No terrorist attack has so far been recorded in 2009 by the Islamist militants, though radical groups continue to maintain a varying presence across the country. Bangladeshi authorities, however, continue to vigorously target alleged Left Wing Extremists, though there is little corresponding evidence of a proportionately violent Left Wing movement in the banking sector. The Bangladesh economy managed to avoid the first-round shocks of the global financial meltdown due to the low integration of the country’s financial sector with the global financial system. As the global financial crisis transformed into a global recession, the economy began to be affected by the global economic slowdown. This economy has performed better than many other countries in Asia due to its lack of integration with global financial markets as well as the nature of its garment and labour exports, which are targeted mainly at the low end of the market (a segment that was less affected during the early stages of the crisis). Official sources estimate that GDP growth declined slightly to 5.9% in FY2009 (ended June 2009) from 6.2% in the previous year largely because of industry’s decelerating growth (Figure 3.15.1), as export production slowed during the global recession. Industry’s growth was also constrained by power and natural gas shortages and by a weakening in construction activity. Agriculture performed well, aided by favorable weather and government support to farmers that improved their access to inputs and credit. Expansion in services decelerated as the slowdown in industry crimped trade and transport activity. Growth in broad money was strong throughout FY2009, advancing 19.4% year on year in June 2009, compared with the 17.5% program target of Bangladesh Bank, the central bank (Figure 3.15.4). This buoyancy largely reflected unexpected strength both in the banking system’s net foreign assets and in the balance-of-payments outturn. Expansion in private sector credit fell to 14.6% year on year in June 2009 (against a target of 18.5%), as slower domestic economic activity and business uncertainty curtailed demand. Bangladesh Bank cut its policy rates (repo and reverse repo) by 25 basis points in March 2009 in an effort to bolster economic activity. Moreover, its operations in the foreign exchange market substantially raised commercial banks’ excess reserves and lending capacity. Reflecting these factors, the average interbank call money rate dropped sharply to 1.8% in June 2009, from 8.3% in March 2009. However, commercial banks’ weighted average lending rate declined only marginally to 11.9% in June 2009 and credit flows did not strengthen perceptibly. In October, the central bank cut the two policy rates by 400 basis points in an effort to encourage banks to reduce lending rates and to stimulate credit demand. The improved trade deficit, together with 22.4% growth in workers’ remittances, lifted the current account surplus to $2.5 billion (2.8% of BDTBDTGDP) from $702 million (0.9% of GDP) in FY2008. A small deficit in the capital and financial account resulted in a surplus of $2.1 billion in the overall balance of payments in FY2009, dwarfing the prior-year’s $331 million surplus. Foreign exchange reserves rose to $7.5 billion (3.8 months of imports) at end-June 2009, and surged to $10.6 billion at end-February 2010, nearly twice the level of a year earlier, and equivalent to over 5 months of imports. Economic forecasts for FY2010 and FY2011 assume continued prudence in macroeconomic management and steady progress in governance reforms. Commissioning of new power generation capacity should moderately reduce supply shortages. GDP growth in FY2010 is forecast at 5.5%, somewhat lower than in FY2009 due in part to the lagged effects of depressed external demand on Bangladesh’s mainly low-end garment exports. In FY2011, growth is expected to rise to 6.3%, underpinned by the global recovery and strengthened business confidence and investment. .
Industrial growth is seen decelerating to 5.6%, reflecting subdued domestic and external demand in the first half of FY2010. Several indicators suggest that industry will remain sluggish throughout the year. Export performance was dismal in the first half, declining by 6.2% (Figure 3.15.9), with most items (including garments) contracting due to weak retail sales in industrial countries. In addition, domestic investor sentiment has not fully revived following the initial uncertainty over the extent and depth of the impact of the global recession on Bangladesh. Moreover, decelerating remittance growth will limit growth in consumer demand. Still, industrial performance is expected to strengthen in the second half of FY2010 as exports return to a growth path on recovering global momentum. Infrastructure investment needs to be boosted for faster economic growth and poverty reduction. Underinvestment over the years has resulted in acute deficiencies, especially in power and gas, ports, and roads, which are restricting business opportunities and access to public services. Consequently, the government has to substantially raise project implementation capacity in public sector agencies, lift ADP utilization, and carry out PPPs in infrastructure. To launch the PPP scheme, the legal framework for setting the responsibilities of stakeholders, for cost-recovery provisions, and for compensation and redress mechanisms needs to be put in place quickly. Population pressure is a related concern. It is straining ecosystem services, such as safe water supply and habitat as well as other natural resources, and pressuring the government in terms of providing infrastructure, utilities, and other services. Although Bangladesh has made progress over the past two decades in nearly halving the total fertility rate to slightly above the population replacement rate, further progress is needed—by raising investment in family planning and reproductive health—to push the fertility rate to below the replacement rate. Job opportunities also need to be created for the large number of youths entering the job market each year. Climate-induced disasters are endemic in Bangladesh, ruining the lives and livelihoods of millions of people, damaging infrastructure, and harming the physical environment. Climate change multiplies these inherent risks, undermining development prospects and eroding the gains in poverty reduction. Major efforts need to be mounted for mobilizing funds for adaptation measures, putting in place the right policy frameworks, and building institutional capacity. Contract Act 1872 (Act No. IX of 1872) governs the law of contracts in Bangladesh. The act confines itself to the enforcement of civil obligations. This act regulates the transactions entered in to between the parties of an agreement. The act also contains provisions for remedy in case there is a breach of contract. A person must be competent to have the right to enter into a contract. He/she must be a major (at least eighteen years of age), should be of sound mind and should not be disqualified to enter into a contract by any law of the land. The Bankruptcy Act, 1997 enacted on 11-03-1997, governs laws regarding Bankruptcy in Bangladesh. According to the law any person, man or woman, who has attained majority and is not a lunatic can be declared bankrupt (1) when he is a debtor and his assets are insufficient to meet all his debts and (2) he has committed an act of bankruptcy. All the district judges’ courts act as Bankruptcy court and they can appoint additional district judges to dispose the cases. The court can take actions such as forming a creditors committee, arrest the debtor, prepare schedule of creditors and provable debts etc. Unfortunately, this has not proved to be very effective in the context of Bangladesh due to bureaucratic red tapes, lack of transparency and huge number of pending and un-disposed cases in various courts of Bangladesh. Under the existing regulations of central bank, the banks and financial institutions are not permitted to extend new credit facilities or renew existing credit facilities to defaulting borrowers. Credit Card Limit 13 Maximum unsecured limit under credit card to a borrower (supplementary cards shall be considered part of the principal borrower) shall not exceed Tk. 500,000/ -. The banks may allow financing under the credit card scheme in excess of the limit of Tk.500,000/-, provided the excess amount is secured appropriately. However, in no case the limit will be allowed to exceed Tk. 2 million. (iv) Foreign Exchange entitlement (fixed by the Government for each person intending to perform Hajj) of approved private Hajj Agencies for meeting food/lodging expenses of the pilgrims in Saudi Arabia respectively. (a) Foreign exchange entitlement fixed by the Ministry of Finance/competent authority for official or semi official visits abroad by the officials of Government/Autonomous/Semi-autonomous institutions etc. (b) Per diem foreign exchange entitlement for private sector participants for attending seminars, conferences, workshops abroad arranged by recognized international bodies. International Credit Card/Debit Card may be issued against the balances held in the exporters’ retention quota (ERQ) foreign currency account. International cards may be issued in favour of up to three (3) top-level executives of an exporting firm/organization holding retention quota FC Accounts. An exporting firm /organization may avail of the card facility from one card issuing company only. It will be up to the card issuing company to accept or decline a request from an ERQ Account holding exporting firm/organization for issuance of international cards. Cards issued against ERQ accounts may be used only for eating the bonafide business purposes of the exporting firm/organization. 2. International Credit/Debit Card against RFCD Accounts. International Credit card/Debit Card may be issued against the balance held in Resident Foreign Currency Deposit (RFCD) account. 3. International Credit Card/Pre-paid Card against Travel Quota Entitlement. ADs may issue international Credit Card/Pre-paid Card against the annual personal travel quota entitlements of the prospective cardmembers. While issuing card, the AD shall endorse on the passport, the value for which the card is issued. ADs are advised to establish effective control to ensure utilization of foreign exchange issued for (1) SAARC countries & Myanmar and (2) Other than SAARC countries & Myanmar in the respective areas. It is clarified that the entitlement of usual annual travel quota in respect of (i) SAARC countries & Myanmar and (ii) other than SAARC countries & Myanmar are mutually exclusive. 4. International Credit Card /Pre-paid Card against Govt. Officials etc. International Credit Card /Pre-paid Card may be issued favoring Officials of Government/Autonomous/Semi-autonomous institutions etc. for official/semi official visits abroad against foreign exchange entitlement fixed by the Ministry of finance/competent authority from time to time. In such case, the prospective card member shall be required to submit the letter of sanction for limit of foreign exchange and the Competent Authority’s Order authorizing the travel. International Credit Card/Pre-paid Card may be issued favoring private sector participants for attending seminars, conferences and workshops abroad arranged by recognized international bodies. While issuing the card, the AD shall endorse an amount not exceeding the entitlement on the passport. International Debit Card may be issued against the balance held in Private Foreign Currency Accounts [against the balances held in accounts opened and maintained. In each year, Government declares general permission for releasing foreign exchange favoring private sector Hajj Agencies to meet food, lodging etc. expenses of the pilgrims in Saudi Arabia against foreign exchange entitlement fixed for each individual. Foreign exchange within the approved limit under general authorization may be issued in favour of approved private sector Hajj Agencies operating in Bangladesh by the ADs in the form of Debit Card/Pre-paid card. 8. International Pre-paid Card against Hajj Entitlement (for individuals). International Prepaid Card may be issued to intending pilgrims (individual resident Bangladesh Nationals) for meeting expenses in Saudi Arabia while performing Hajj as per entitlement declared by the Government in each year. While issuing the card, the AD shall endorse an amount not exceeding Hajj entitlement (as fixed by the Government) on the passport/pilgrim pass. Hajj pre-paid card as issued within the said entitlement fixed by the Government for the respective year shall be used in Saudi Arabia only. Subject to entitlement in each of the categories mentioned above, International Card member may pay their mobile phone roaming service utilization bill to mobile phone operators in Bangladesh through International Card. For realization of roaming bills, the mobile phone operator will specify the bill under the category of SAARC (including Myanmar) and Non-SAARC countries including the amount of security deposit of the customer (if any). i) A declaration from the intending card member stating that he is not availing himself of any International Credit Card/Debit Card/Pre-paid Card from any other AD against the same account or the same entitlement. (ii) In case the card is issued by a bank against any ERQ/RFCD/FC account maintained in another bank, an authorization has to be obtained from the prospective card holder allowing the card issuing bank to have lien and debit authority for the said account from the bank maintaining that account. (iii) Effective control system must be ensured by the issuing bank to guard against unwanted drawings in excess of the entitlement or balance in the respective foreign currency accounts (as the case may be). To facilitate monitoring towards limiting the liabilities on account of card use, the FC Account holding ADs may from time to time advise the card issuing bank about the credit balances of the FC Account. (v) In cases of issuances of International Cards against ERQ/RFCD/FC accounts, the amount of the respective card shall be under lien so that under no circumstances related account is overdrawn. Yet for any unforeseen reason, if any account becomes overdrawn at any point of time, the same shall have to be immediately reported to the Bangladesh Bank clarifying the reason and remedial measure thereof. (vi) All records, documents, accounting statements relating to issuance and use of credit cards should be kept ready and available for inspection /examination by Bangladesh Bank as and when required. Bangladesh is not well served in terms of robust statistical market data to support a detailed assessment of the consumer credit cards’ markets in Bangladesh. However, Amex Consumer Credit Card has gained wide popularity and strong presence in the market in terms of pricing and product terms. This is reflected through our rapidly growing portfolio. The Bangladesh Bank does not publish robust data on consumer banking assets and the published accounts of Banks do not segregate this information. Amex Consumer Credit Card is becoming increasingly familiar to the consumers. Previously, credit card was considered only for the purpose of emergency financial support and foreign travel. Nowadays, many of the consumers avail credit cards for purchasing lifestyle products, vacations, air ticketing, hotel booking and for purchasing goods and services through internet, etc. Local private commercial banks like Eastern Bank, Brac Bank, Dutch-Bangla Bank Ltd. (DBBL), Prime Bank, National Bank, Southeast Bank and Bank Asia are offering consumer credit cards too. Among the local competitors, Brac Bank and Eastern Bank are the major players. However, our pricing is competitive while the product features and service are attractive to the customers. Operational risks are primarily categorized by people related risks, process related risks, system related risks and external risks. People related risks could happen through employee fraud/malice and unauthorized activity and employee misdeed. Proper control and monitoring is in place to prevent this. Process related risks include payment/settlement/delivery risk, documentation and contract risk, valuation/pricing risk and reporting/compliance breach risk etc. External risks are related to service delivery failure of service providers/vendors and suppliers. Proper guidelines for monitoring and quality control of service providers are in place. Service level agreement and error rate is monitored regularly. For consumer loans, the activities of front line sales and behind-the-scene maintenance and support are clearly segregated. RFC manages the inputs, approvals, customer file maintenance, monitoring & collections; for credit cards, effective and efficient control system is in place to ensure that operational risks are managed. The sales channel consists of branches and direct sales team. Direct Sales team contributes to 82% of the sales while branch staff contributes to the rest 18%. It is to be mentioned here that all direct sales force is directly employed and there is no outsourced staff for sales and channel risk is relatively low here. However, the risk consists of gap in product knowledge and customer identification for the front lines, which may result in selling products to the wrong customer segment. This risk will be managed and the position monitored by the Asset Liability Committee headed by the Managing Director/CEOs of the Banks. Political and economical environment of a country play a big role behind the success of business. Banks should always keep a close watch in these areas so that it is able to position itself in the backdrop of any changes in country’s political and economical scenario. The applications and other documents related to credit card are held in safe custody by Card Operations Unit. All these documents will go under single credit file per customer. The physical securities and the security documents are held elsewhere inside fireproof cabinets of Card operations’ custody. The dual key system for security placement and retrieval is managed by Card department. CBL has a segregated internal audit department who is responsible with performing audits of all departments. Audits are carried out on a regular or periodically as agreed by the Management to assess various risks and possible weaknesses and to ensure compliance with regulatory guidelines, internal procedures, and Lending Guidelines and Bangladesh Bank requirements. Applications are required to be sent to Retail Finance Centre (RFC) with all required documents at the time of submission. RFC undertakes pre-screening to check whether all required documents have been provided or not. If any document is missing, this application needs to be returned to source or queries need to be sent to source through MIS to provide the required documents. Sales Officer/Sales Manager/Customer Service Manager/Relationship Manager are authorized to mark “original seen” in all the photocopied documents. MIS Officer will receive these applications and input in the daily MIS. MIS officer will put serial or tracking number on the application and hand over the photocopy of the loan documents along with application photocopy/basic information sheet of the applicant (to be implemented) to CPV agents for verification. Credit analysts will approve and recommend the applications on appropriate cases. Analysts/Credit Manager/ Senior Manager/Head of Retail Finance will approve or decline the applications and send back to MIS team for status record. Approved application will be forwarded to Card Operations. Card Operations will be the custodian of the approved applications. Card operations will update additional information (Customer limit, instructions if any) in software and run a duplicate check for finding out whether a particular applicant applied before or not. Applications with positive duplicate check (assuming that these applicants never applied for the cards before), a batch file would be generated to generate plastics & PIN accordingly. Card operations will produce the card and PIN and will ensure the card delivery to customers. Declined applications will be sent to archive after processing is done. Cut-off Time for source to meet up the queries- within 5 working days after placement of query. iii) Salary certificates are to be confirmed with employer/signatory by credit analysts over telephone. iv) If employer is found involved in providing false declaration of income, such employer will be negative listed upon getting permission from HORFC or HORB and issuance of new credit card is to be prohibited for the employees of that particular company. v) Companies with higher default rate will be negative listed and new card issuance will be kept stop until satisfactory collection report is obtained from respective sources. vi) Companies going through employee lay-off are also negative listed and new card issuance will be kept stop until situation stabilizes. vii) RFC will maintain a database of negative listed customers and companies and runs a check while assessment. In addition, a list of defaulter customers is provided to credit by the collection team. Applications are cross-verified to prevent defaulter customers having a card. viii) In case of multiple submissions, analyst should investigate the issue to find out if there is a poor intention of the applicant or not. Both the proposals should be declined and negative listed for ill motive of the applicant. Otherwise, 2nd submission should be cancelled. Exceptions are defined as those card applications that do not fall within the scope of bank credit policy or PPG, but follow its principle and business rationale. These proposals are handled differently than other applications. RFC, Head of Retail Finance, Head of Policy and Analysis, , Head of Retail Banking, Deputy Managing Director (Business) and the Managing Director. In the absence of any system support for fraud detection, RFC use MIS checking, in house document checking by approval officers and third party verification agencies to detect and prevent fraudulent activities. RFC MIS has MS-Excel based customer background checking mechanism in place to check if the customer has any previous negative activities and/or poor repayment history with CBL. The background check can also detect multiple unsuccessful applicants who do not yet bank with us. After receiving any non-customer’s Amex Credit Card application, customer name, father’s name, mother’s name, company name are matched with the MIS database to check if the customer ever applied for a loan in CBL before. This information is also matched with the RFC MIS Blacklist table to check if the customer has any negative history (i.e. provided false documents, poor repayment in other banks etc). On the other hand, if the customer has previous lending history with CBL, then the account is checked for repayment history in his previous loans. City drive is Auto Loan for salaried person, business person & self employed individuals. Car for one’s family is now a matter of fulfilling a necessity. Appreciating that basic need, City Bank introduces City Drive, a tailor-made auto loan scheme for individuals. Loan amount ranging from Tk. 300,000 to Tk. 2,000,000. Car financing up to 90% of reconditioned or new vehicle price. Lower interest rate & upto 100% financing for loan against cash security. Loan tenor 12 to 60 months. Loan processing fee 1% of loan amount. Age: 22 to 60 years. Experience: Salaried executive total 1 year including 6 months with current employer. Experience: Business person/ professional 1 year. Monthly income: Minimum Tk. 30,000. Subject of Loan City bank Ltd. Brac Bank Ltd. Eastern Bank Ltd. Prime Bank Ltd. Dhaka Bank Ltd. Standard Chartered Bank Ltd. HSBC Bank Ltd.
Retail Banking it has now- at a very rapid pace – become the major revenue line for most of the top banks in the country. At City Bank, we want to provide the best-in-class services, innovative products and financial solutions from smart outlets – all with a big smile that conveys and generate happiness all the way. To meet personal needs of any credit worthy individuals, we need to introduce some contemporary asset product line like City Drive. Customers like to enjoy personal auto loan to accommodate the transportation needs. Consequently, Auto Loan got substantial momentum in the market. Most of the banks are focusing this product for increasing core lending base of the bank. This product will be a one of most vital lending products for retail lending. 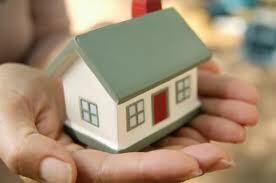 CITY Solution is an any purpose unsecured and terminating loan facility (EMI based) for any legitimate purpose. Bank would finance against gross monthly income of the any credit worthy individual. To meet life style needs of the credit worthy individuals and to capitalize the vast market gap, this is a suitable unsecured retail loan product. City Solution – any personal loan from City Bank – is there to solve customers’ problems and to fulfill all their dreams. Loan amount ranging from Tk. 50,000 to Tk. 1000,000. No guarantor required for the loan amount up to Tk. 3 lac. Experience: Business person 2 years. Minimum monthly income: Salaried executive Tk. 15,000 self employed Tk. 25,000 and business person Tk. 30,000. Subject of Loan City bank Ltd. Eastern Bank Ltd. Prime Bank Ltd.
Over the last few years, there has been a sea change in the mindset our consumers. Retail Credit, once considered unreachable, is today a means of fulfilling the growing aspirations of Bangladeshi middle class, especially the growing population of the 25-44 age groups. The decline in corporate credit off take forced banks to increase their presence in the retail finance market. The rise in income levels, together with fall in interest rates and growing competition, has increased the affordability of loans for borrowers. Today, some in the country are emerging as leaders in the retail finance market. Moreover, retail Banking it has now- at a very rapid pace – become the major revenue line for most of the top banks in the country. At City Bank, we want to offer the best-in-class services, innovative lending products and financial solutions for customers to meet their personal financial requirement. To meet personal needs of any credit worthy individuals, we are launching City Solution, an any purpose unsecured personal loan. Customers like to enjoy personal loan to accommodate the personal financial requirement. Consequently, personal loan got substantial momentum in the market. Most of the banks are focusing this product for increasing core retail lending base of the bank. This product will be a one of most vital lending products for retail lending. • With City Solution we are introducing personal loan takeover option first time in the country which will ensure first mover’s advantage. • Presently, City have a Consumer Credit Scheme offering maximum loan amount of Tk 1.25 lac. Nature of consumer credit scheme and loan amount can not serve the loan purpose of customer. To create market buzz and substantial retail loan portfolio growth, City Solution will play the vital role. With launch of, City Solution, new booking of Consumer Credit will be stopped . Over the last few years, there has been a sea change in the mindset our consumers. Retail Credit, once considered unreachable, is today a means of fulfilling the growing aspirations of Bangladeshi middle class, especially the growing population of the 25-44 age groups. The decline in corporate credit off take forced banks to increase their presence in the retail finance market. The rise in income levels, together with fall in interest rates and growing competition, has increased the affordability of loans for borrowers. Today, some banks in the country are emerging as leaders in the retail finance market. Moreover, retail banking it has now- at a very rapid pace – become want to offer the best-in-class services, innovative lending products and financial solutions for customers to meet their personal financial requirement. CBL Express Cash is a fully secured and revolving facility for any legitimate purpose. The security for the loan should be ideally CBL FDR. Bank would finance against clients CBL FDR or other banks/NBFIs security. CBL Express Loan is a fully secured and terminating (EMI Based) loan facility for any legitimate purpose. Bank would finance against clients CBL FDR or other bank FDR/NBFIs security. Due to following reasons, it has become necessary to introduce a new secured loan with renewing & amending some features of existing SOD retail. · Presently, CBL don’t have any PPG with clear credit & process guidelines. b. Who is eligible to apply? Any eligible individual, who will provide the cash security, must be Bangladeshi & must have CBL SB/CD account. What can be the purpose of City Express Cash/Loan? This is an any purpose loan. Can an individual have City Express Cash/Loan simultaneously if he is enjoying City Drive or Solution currently? What will be the duration for loan processing? hours to process the loan. What are the processing fees for the facility? What is the security/collateral for the facility? What are the documentations required to avail the City Express Cash/Loan? What is the tenor of the loan? What is the repayment method for City Express Loan? Repayment Method will be on the basis of Equal Monthly Installments via Standing Instruction.